The Still Life Workshop blog is being discontinued, but I will post occasional set up photos on my BenikArts blog starting Fall of 2016. We have spent the past year preparing to move from our Denver area home. This journey is nearly complete, and I will be setting up my new studio over the next couple of months. Explore your world and paint what you love! 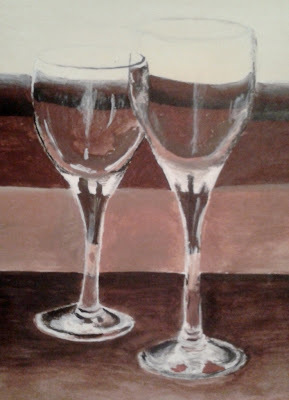 Painting glass is always a challenge. 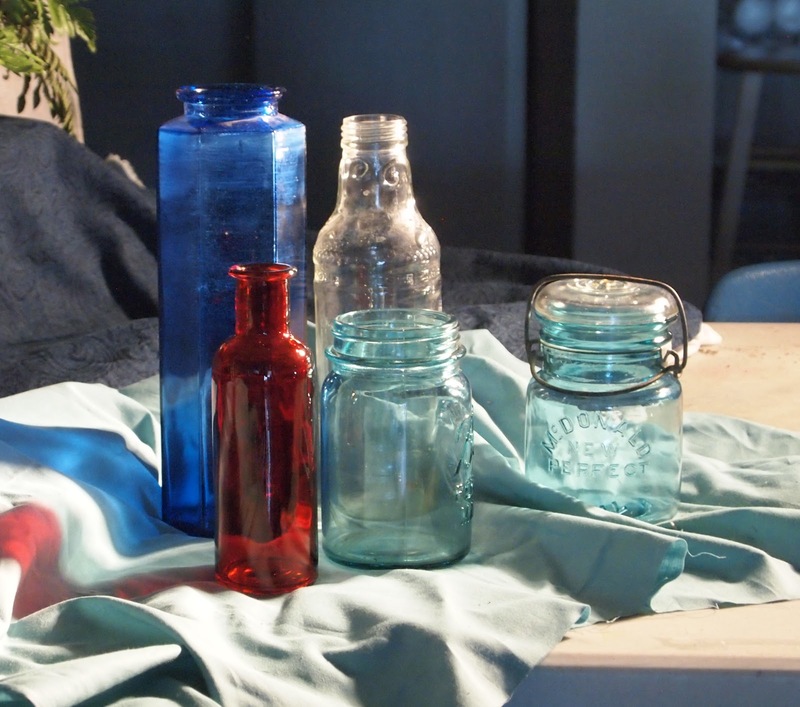 Here is a photo of bottles and jars from a recent still life set up. The shadows on the left are interesting because they include colored light that is being transmitted through the bottles. You may paint this, or set up your own still life using clear or colored glass pieces. I look forward to seeing your art! 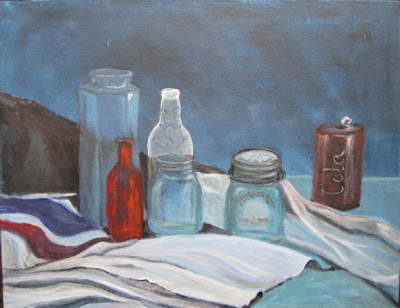 Again, there are no deadlines to the Still Life Workshop challenges, so work on them at your own pace. 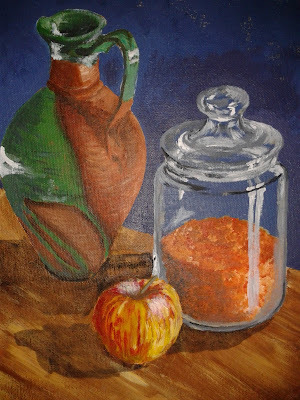 The next still life painting challenge will be posted on Sunday October 21st (more or less). Follow the "Send Your Pictures" rules on the right when you are ready to share your artwork, but most of all, have fun! For the original Studio Atelier Painting Challenge blog, click here. To see recent work and occasional art ramblings on my BenikArts blog, click here. 1. The subject matter is similar to one of the posted painting challenges. (For example, if the challenge subject is a rose, that should be the subject of your painting.) It doesn't have to be the SAME rose; feel free to paint what you have on hand. However, if a daisy or other non-rose flower is the subject in your painting, it does not satisfy this rule, so don't send it. 3. The image is in .jpg format, is cropped to show only the art itself (no frame), and is no larger than 500 kb in size. 3. The image meets normal standards of decency (no genres that aren't approved by our hosting folks). If your images pass our cursory review, they will be posted here. Go to Still Life Workshop Website for more information on painting still lifes!